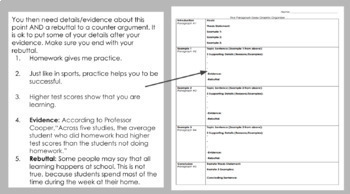 Teaching students how to write a persuasive essay has never been easier! 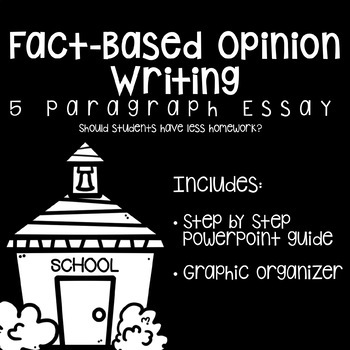 When you purchase this product, you will receive a powerpoint and graphic organizer that guides students through planning a five paragraph persuasive essay. Students will respond to the prompt, "Should students have less homework?" In order to find evidence to support their position, students will have to do outside research.